Today, we were determined to be adventurous, and inadvertently exceeded our ambition. This was by far our most interesting ride. It took us to places rarely seen by travelers. It was challenging and frustrating. But we survived the experience to share the tale. 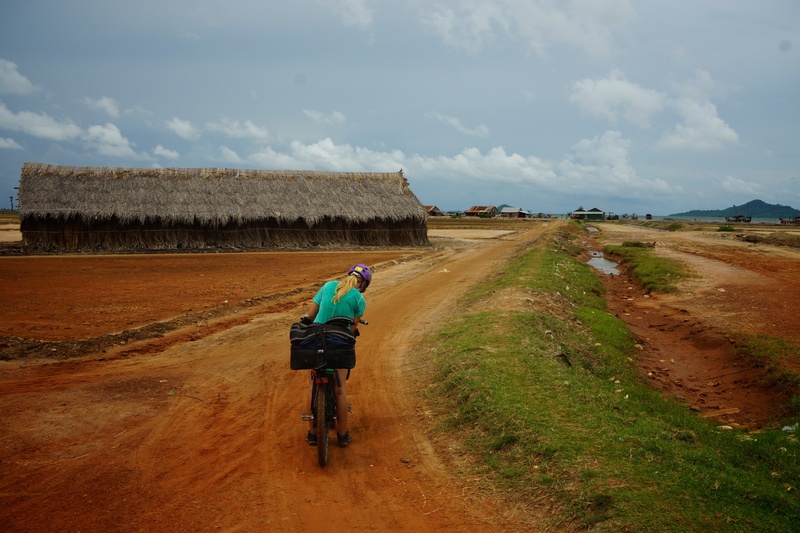 We were told by several people to try a new “shortcut” route that hugs the coastline all the way into Vietnam. Our ride started out on a wide dirt road along the coast. After about 4.5 miles, the road on our GPS gradually became the ocean. We tried to detour around the obstruction, but ended up stranded amidst hundreds of rice fields. 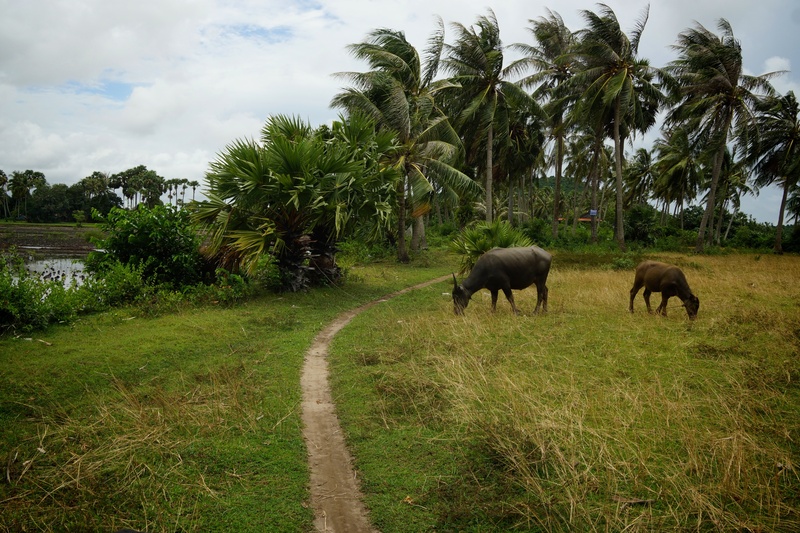 We gingerly picked our way along the edges of the paddies and through the mud until we linked back up with the coastal road. Again, we lost the road and found ourselves cutting through rice fields and tiny secluded villages on a narrow, sandy road. We greeted the local Khmer people, pointed at the road ahead and grunted “Vietnam?”, hoping we were on the right track. It took another wrong turn and a few miles before we realized we made a gigantic circle and ended up back on a wide dirt road to freedom. 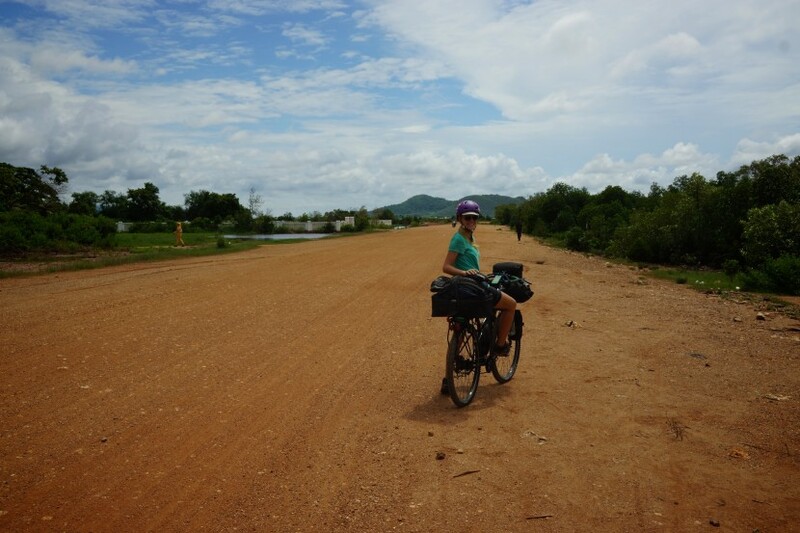 While we had fun exploring this remote part of Cambodia, we were beyond relieved that we found the paved road into Vietnam. The total distance of our route was 25.2 miles (40.56 km). This route was relatively flat along a mix of dirt, sand and mud roads. 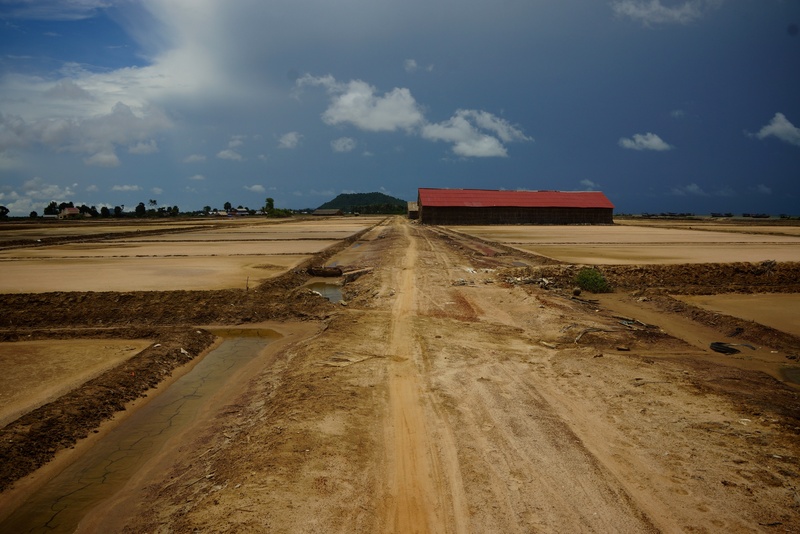 There were some areas by the sea and rice paddies where the road was completely worn away, so you may get a little wet and muddy following this route. We would not recommend taking a road bike or tandem through this area. Mountain bikes would be best. The beginning of the wide, dirt road. The end of the wide, dirt road. The sign you’ll want to look for. This is where we made our first wrong turn. Just past the sign the road forks almost imperceptibly; bear right and follow Haley down this narrow road to find the coastal road again. Google Maps shows a road running the length of the coastline. We made a note on the map above where the road ceases to exist. When we made our big circle detour, we stopped to take a photo of the other end of the “road”. 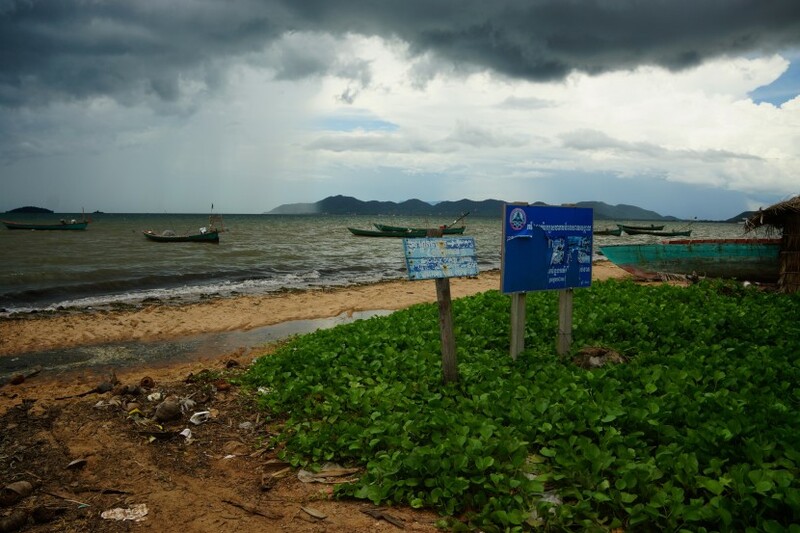 The Kep/Ha Tien border crossing between Cambodia and Vietnam was very simple. 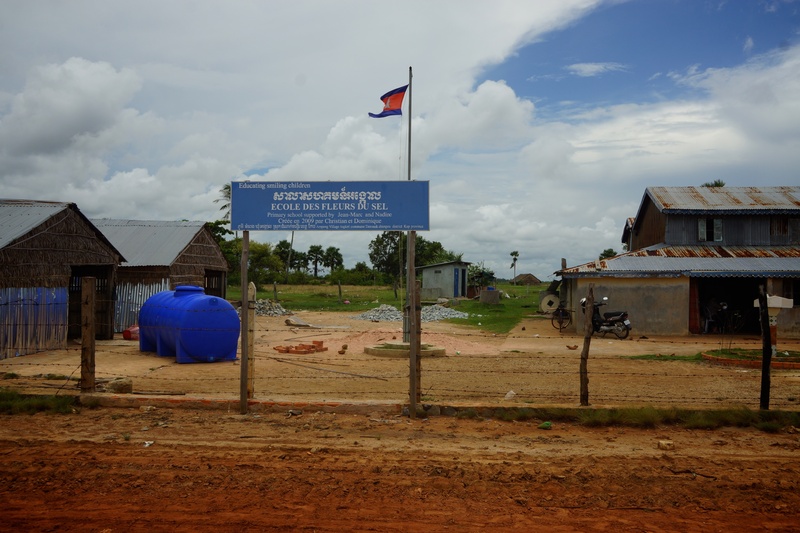 On the Cambodian side of the border, we parked our bikes and jumped in line to get our departure cards stamped. This only took about 5 minutes. 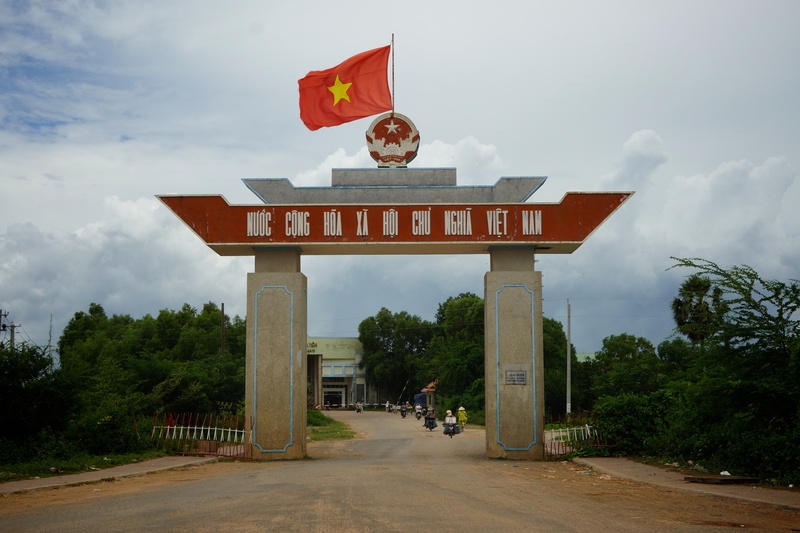 Once we entered Vietnam, we were required to fill out health surveys before the border guard would stamp our visas. This took another 5 minutes. Overall, the border crossing process was quick and painless. 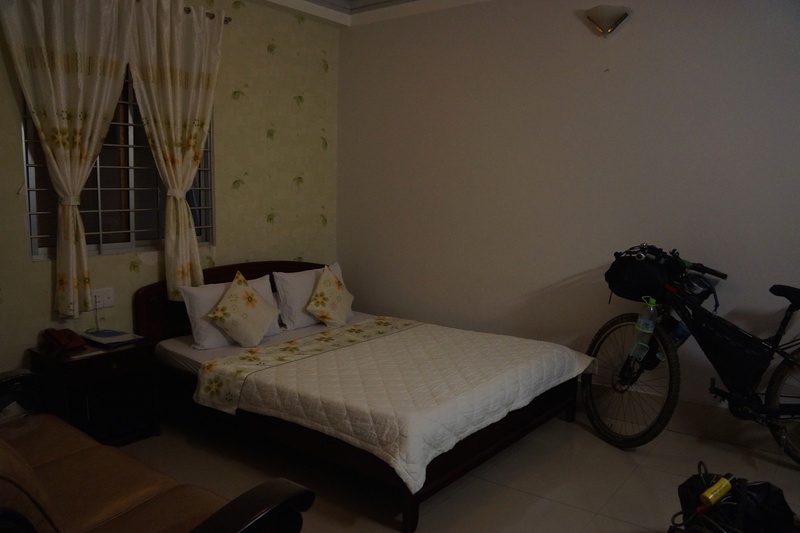 We stayed at Du Hung Hotel for 300,000 dong. Our room was clean and comfortable, had AC, hot water, a fridge and fast wifi. We managed to lug our bikes up a narrow flight of stairs to our room on the first floor without anyone seeing us. 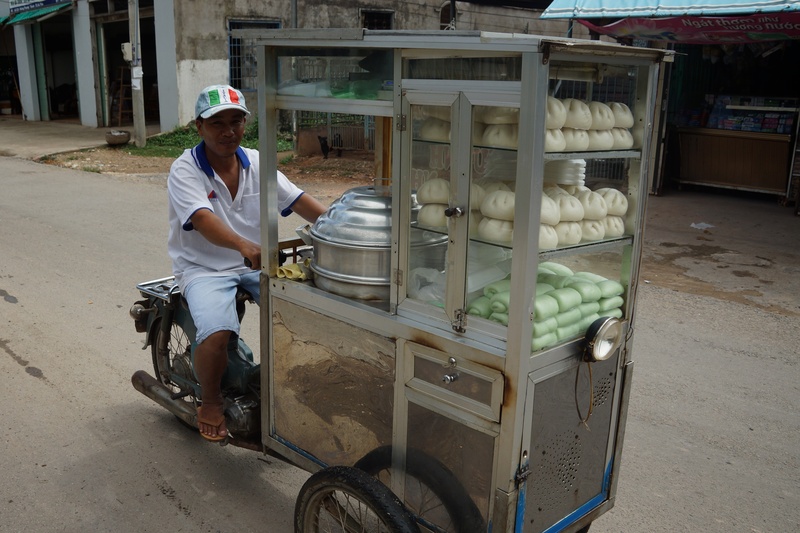 We had baguette, muesli and coffee at Khmer Hands Resort before we hit the road for $8.50 USD. 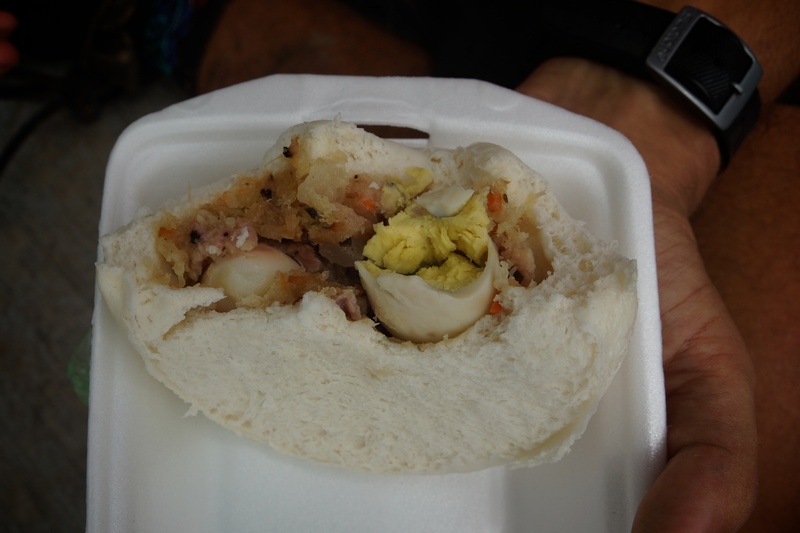 For a snack, we waved down a motorbike carting Vietnamese buns called bánh bao. We ate 2 for 20,000 dong. 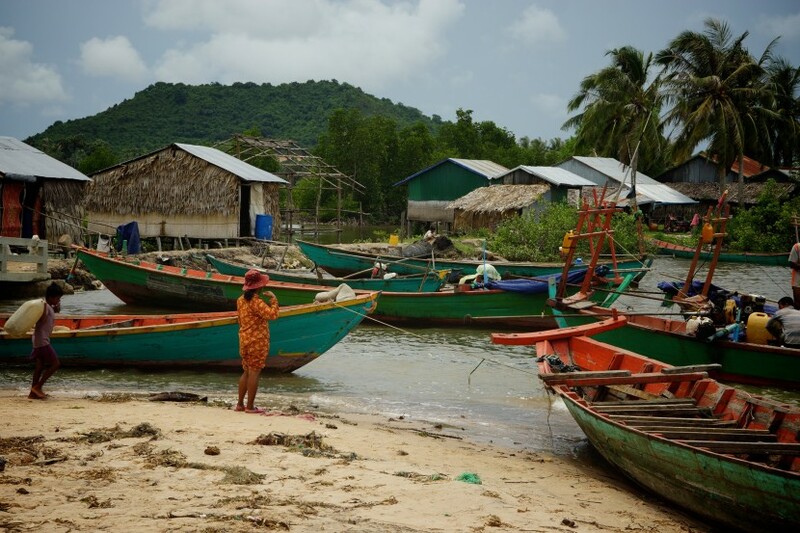 Once we arrived in Ha Tien, we ate lunch at a local restaurant for 74,000 dong. For dinner we ate pho for 40,000 dong and drank sugarcane and coconut water for 25,000 dong. One night at Du Hung Hotel and all of our meals and snacks cost us around 479,000 dong in Ha Tien.